Articents.com - Why Choose Articents Over Etsy? Why Choose Articents Over Etsy? Etsy is by far the most popular site in the world when it comes to buying and selling handmade and vintage items. Hundreds of thousands of people sell their creations there, while millions more come to browse and shop. They have a vibrant online community and have even become part of pop culture along the way. So you ask, what’s not to love about Etsy? There is much to love, actually. The shopping experience for users is both engaging and easy. Sellers can quickly set up their shops and list unlimited amounts of items for only $.20 a piece. Then, when a sale is made, they simply pay a 3.5% commission on the total amount of the order with no long term contracts to sign. For these reasons, there are literally millions, if not tens of millions, of items currently for sale at any given time. If anything, the only problem with Etsy is that it has become a victim of it’s own success. People who sell there must also compete with each other to get noticed by potential customers. To be successful, they will have to draw customers into their shops from other websites, blogs and social media. Some will also re-post an item just to get a favorable position, which in turn costs them an additional $.20 each time they do so. Others may even feel compelled to pay for additional on-site Etsy advertising on top of this. The costs can add up quickly, and when factoring in the commissions involved, sellers often make less than they actually deserve. Articents takes a different approach to this. Instead of charging for a series of small and never ending incremental fees, we offer two options; one that is free and one that is subscription based. With each option, there are never any listing fees, nor are there commissions on your sales made from your store. In fact, you can open a store on Articents, list an item and even make a sale all at no cost to you. Zero. Those who choose to subscribe to an upgraded experience will also be able to customize the look of their store and also unlock other more advanced features. Both of these approaches give our customers a predictive cost structure with no surprises. You either pay nothing at all for the month or you pay the cost of your subscription - never more. Articents also gives you more options to customize the design of your store as opposed to just allowing you to select a single banner. Instead, we also give you the ability to select a background along with some other color preferences for menu items and buttons. We’re working on more options as well, such as the ability to select and position widgets on your store much like what Blogger and Wordpress can do today. We’re also more flexible than Etsy is because of our small size. Where Etsy is a large scale enterprise with hundreds of workers handling millions of customers, every action needs to be well planned out and organized. There is nothing wrong with this and it is very prudent that they do so, however the result means that new features become available less frequently and those features may often have less of an impact on the site. They may also be forced to make decisions based on investor’s needs over customer needs - something that we do not have to worry about. In the end though, it doesn’t have to be a decision about using one site over the other. Rather, there are many legitimate reasons to be on each one at the same time. In fact, from a seller’s point of view, it is often a good idea because you get exposure to more even customers when you do. It is simply our goal to make Articents compelling enough for you to use our service no matter where else you might choose to sell. 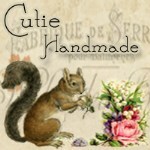 I have stores on both Articents and Etsy. Audiences have very little cross-over, so I'm reaching more potential customers. All my social/online promotion drives customers to my Articents site, making the quality of customers there higher (they've actively sought out the site, instead of 'window shopping'). Upgrading on Articents was a no-brainer for me. Increased options make my store more appealing for very little cost. I am just starting to post my items and decided to go with Articents right off the bat! After viewing Etsy, I felt that there were so many things/artists posted that it may be a tough "beginning" for me. I hope to open a "store" here as well soon. With 1,900 items on ETSY, I need to offer my inventory to a larger group of people. Articent is a great new venue and it is cost effective. Even at $5 a month, it is a great bargain! I just signed up for Articents! Looking forward to owning a little corner of the market here! I am siging up because you are small and to me it sounds like you have done your research and know what to include and is important and what is not. I like the no listing fee and no % of sales. Thank you for that...a very generous act on your part. I hope to reach many potential customers on Articents. I just opened up a shop here and I'm looking forward to wonderful customers and many sales. I'm new here and just opened my shop a few days ago. It certainly was not a difficult choice in for me to set up a shop here at Articents. The setup is very user friendly, financially reasonable, offers very nice features: One feature I truly like is with the premium account it allows you to add as many pages as you want, which truly makes this more like a personal website. Also like the fact that there are no forums or chat rooms. Having forums and chat rooms seems to course all kind of conflict with members on other venues. So having things set up the way they are is a most pleasant refreshing experience. Look forward to being here at Articents and wishing everyone many sales!!! !